Big Data is one of THE biggest buzzwords around at the moment and I believe big data will change the world. Some say it will be even bigger than the Internet. What's certain, big data will impact everyone's life. Having said that, I also think that the term 'big data' is not very well defined and is, in fact, not well chosen. Let me use this article to explain what's behind the massive 'big data' buzz and demystify some of the hype. Basically, big data refers to our ability to collect and analyse the vast amounts of data we are now generating in the world. The ability to harness the ever-expanding volumes of data is completely transforming our ability to understand the world and everything within it. The advances in analysing big data allow us to e.g. decode human DNA in minutes, find cures for cancer, accurately predict human behaviour, foil terrorist attacks, pinpoint marketing efforts and prevent diseases. Take this business example: Wal-Mart is able to take data from your past buying patterns, their internal stock information, your mobile phone location data, social media as well as external weather information and analyse all of this in seconds so it can send you a voucher for a BBQ cleaner to your phone - but only if you own a barbeque, the weather is nice and you currently are within a 3 miles radius of a Wal-Mart store that has the BBQ cleaner in stock. That's scary stuff, but one step at a time, let's first look at why we have so much more data than ever before. Sensors are increasingly used to monitor and capture everything from temperature to power consumption, from ocean movements to traffic flows, from dust bin collections to your heart rate. Your car is full of sensors and so are smart TVs, smart watches, smart fridges, etc. Take my scales (which I - as a gadget freak - love! ), they measure (and keep a record of) my weight, my % body fat, my heart rate and even the air quality in our house. I am sure you are getting the point. The volume of data is growing at a frightening rate. Google's executive chairman Eric Schmidt brings it to a point: "From the dawn of civilisation until 2003, humankind generated five exabytes of data. Now we produce five exabytes every two days…and the pace is accelerating." So, we have a lot of data, in different formats, that is often fast moving and of varying quality - why would that change the world? The reason the world will change is that we now have the technology to bring all of this data together and analyse it. Google's self-driving car is analysing a gigantic amount of data from sensor and cameras in real time to stay on the road safely. And these examples are just the beginning. Companies are barely starting to get to grips with the new world of big data. In conclusion then, big data will change the world. 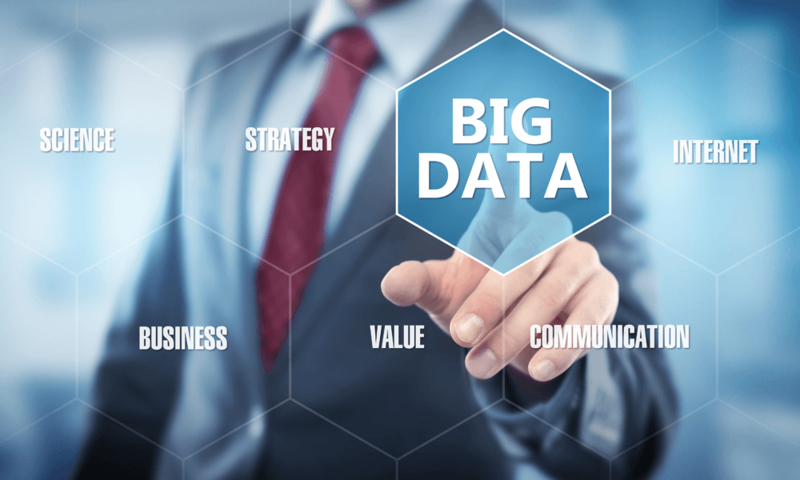 Even though I don’t particularly like the term ‘big data’, it is clear that every company, in every industry, will need to consider strategically how the data revolution will change their business .